The Corojo leaf was first created in the 1930s in the Vuelta Abajo region and was used exclusively in Cuban cigars until the 1990s. Known for its rich, earthy flavor and natural underlying sweetness, the Corojo wrapper remains a staple in the cigar world to this day. Costa Rica has a reputation of growing excellent quality tobacco. Costa Rican maduro wrappers have become more popular in the past two decades, with the majority being dark and maduro wrappers. 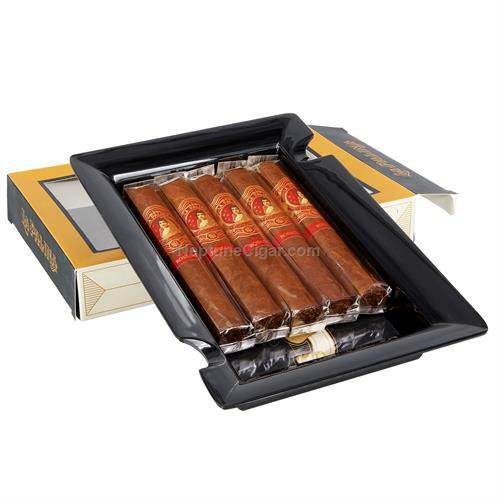 FREE 5-Cigar Sampler and Ashtray!